Hit the down arrow key to brake or move backwards. 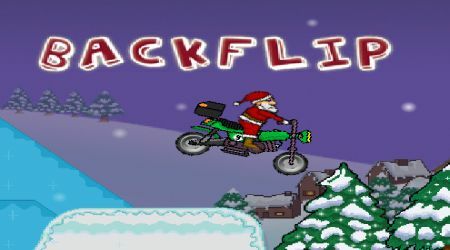 Keep Santa balanced using the left and right arrow keys. Hit the space bar to change directions. 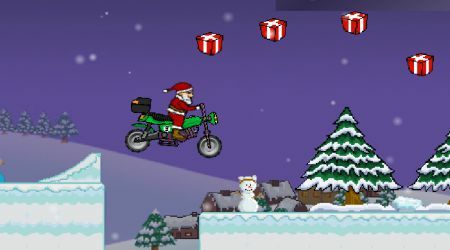 Collect all the gift scattered across the area as you try to reach the finish line on time. Do some tricks while in the air for even more points.